Large One Bedroom - Floor Plan - Pace Realty Group, Inc. 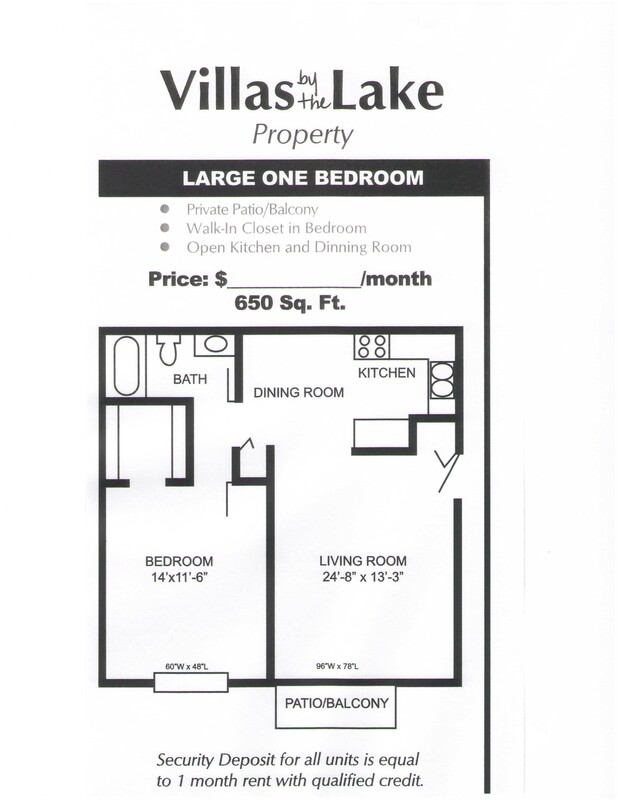 The one bedroom apartments located in our Villas by the Lake complex are the largest one bedrooms on property. Spaciously designed, these units have a large walk-in closet in the bedroom and a large open kitchen and dining room area.